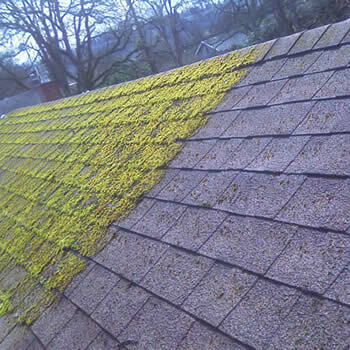 Is your roof dirty and covered in moss? Then we can be of help as we provide roof cleaning and moss removal throughout Shropshire. 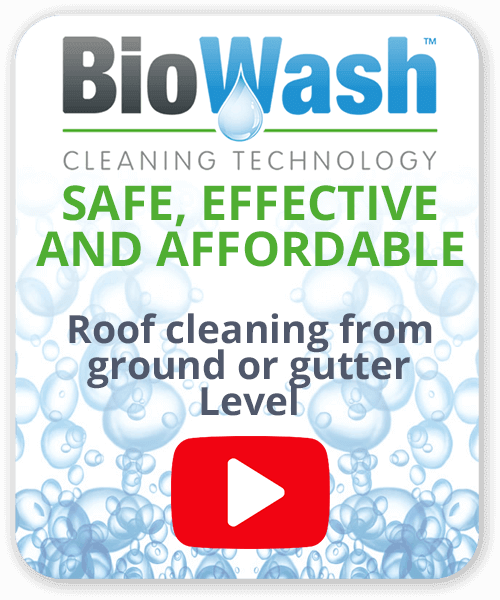 Homeowners are rightly concerned about the risks associated with traditional methods of roof cleaning.The Biowash™ non-pressure system allows tiles to be cleaned from a ladder or ground. 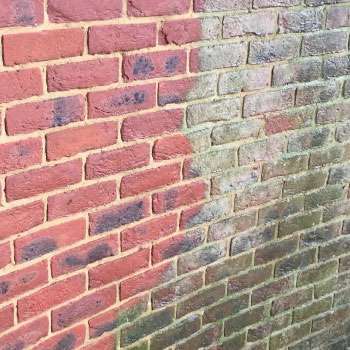 Our customers are often amazed by the transformation that our unique cleaning process achieves in just a couple of visits. 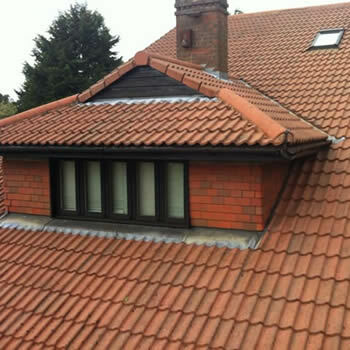 A clean roof completely changes the entire look and feel of a home and is often the envy of neighbours. Biowash™ provides a complete service at an affordable cost and most projects are completed in just a couple of visits. 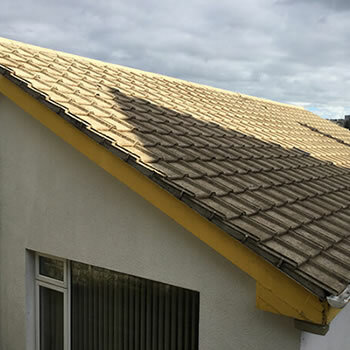 Once clean, our highly effective moss and algae preventative treatment will be applied to help the roof keep looking good. 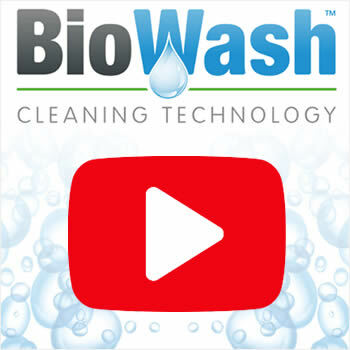 Contact us now to get in touch with your local Biowash™ agent. Across the county of Shropshire, we can provide free quotations for all types of properties. Part of our service always includes cleaning out of gutters and cleaning of surrounding areas. Find out more about this new safe method by contacting us NOW. As one of the least crowded and most peaceful areas of England, Shropshire is a county to be cherished. First-time visitors are pleasantly surprised at just how much there is to see and do. If you were not aware, Shrewsbury the birthplace of Charles Darwin is one of England’s finest medieval market towns. Other popular destinations for visitors include Ludlow with its spectacular Castle, and set in the beautiful Severn Valley is the Ironbridge Gorge World Heritage Site. There is also a great selection of National Trust & English Heritage properties including Attingham Park and Wroxeter not to mention the remains of Roman Cities, Medieval Castles, and Ancient Churches.